Chili's black-bean burger patty is a vegetarian substitute for its beef patty and can be added to any sandwich or eaten as a side dish. With this option, you can order a meatless version of the Mushroom-Swiss Burger or Oldtimer with Cheese. The Guacamole Burger can also be converted to a vegetarian sandwich if you omit the roasted jalapenos, as can the Classic Bacon Burger if you skip the bacon, according to the Chili's website. Each black-bean patty contains 170 calories, 25 grams of carbohydrates, 20 grams of protein and 1 gram of fat. It also contains 760 grams of sodium, 7 grams of fiber and 3 grams of sugar. In comparison, one Chili's beef patty contains 360 calories. An Oldtimer with Cheese -- the lightest burger on the menu -- contains 1,160 calories. 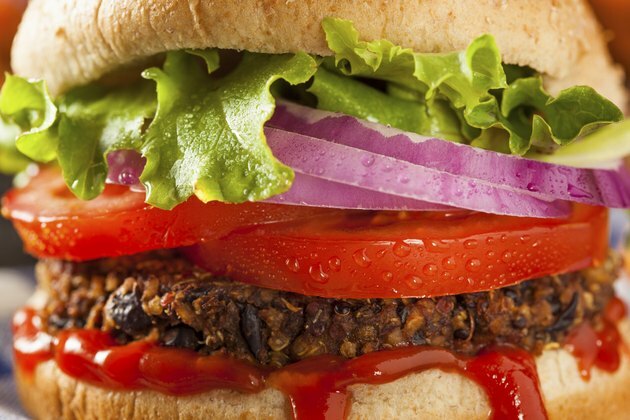 If you switch from a beef patty to a black-bean patty, it will contain 970 calories.